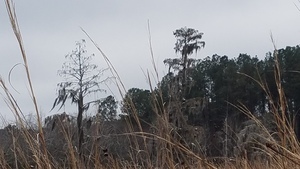 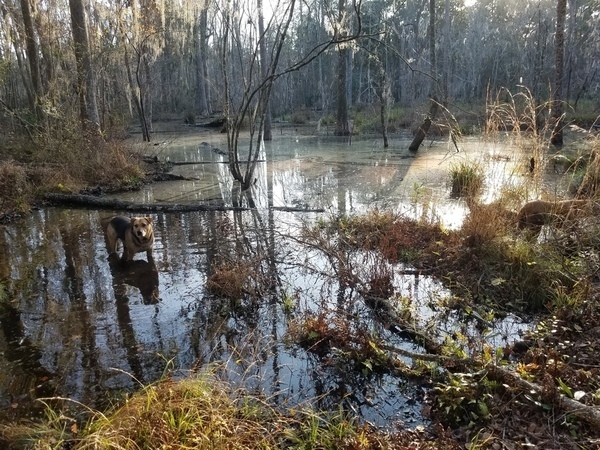 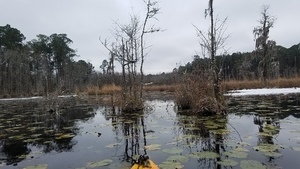 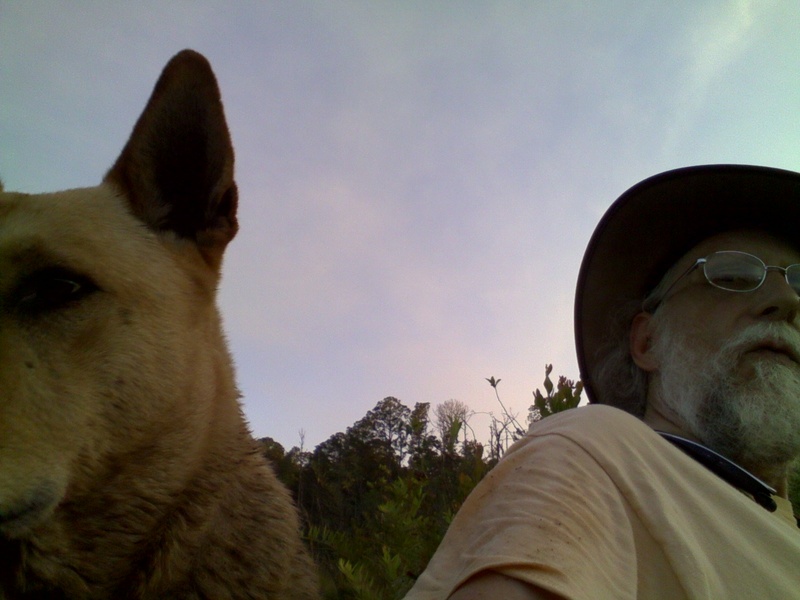 This entry was posted in Dogs, Okra Paradise Farms, Pond and tagged Beaver, Brown Dog, Dogs, dusk, Georgia, Gretchen Quarterman, John S. Quarterman, kayak, log, Lowndes County, Okra Paradise Farms, pond, sunset, Yellow Dog on January 23, 2018 by John S. Quarterman. 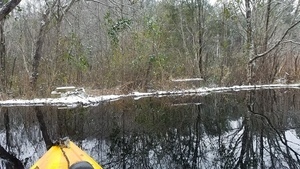 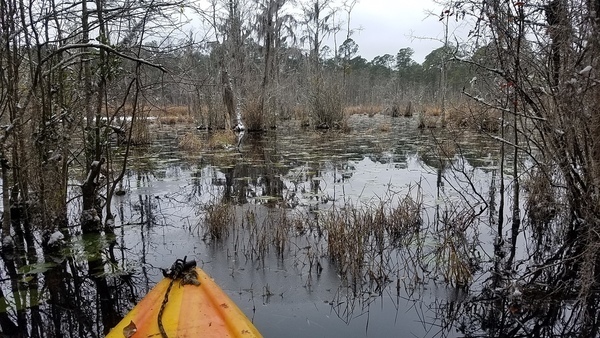 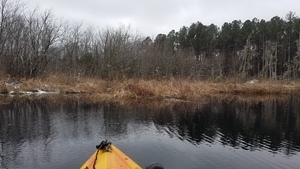 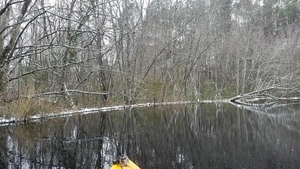 Snowmaggeddon was a good day to stay off the roads, so I took a kayak on our pond. 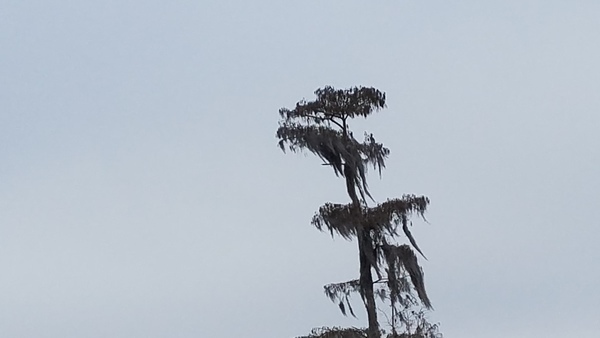 Saw buzzards, heard some ducks and probably a beaver. 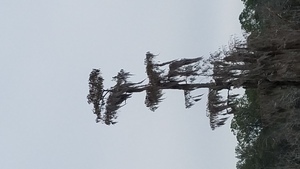 Lots of plants looking very strange. 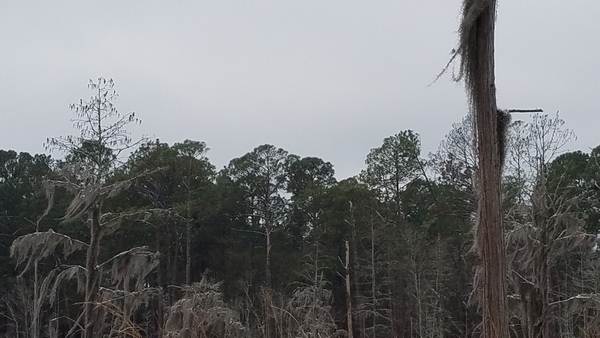 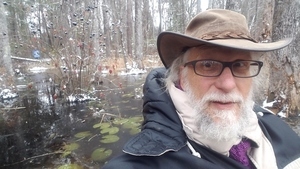 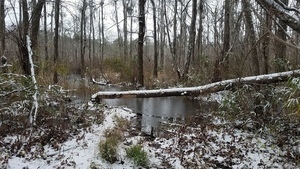 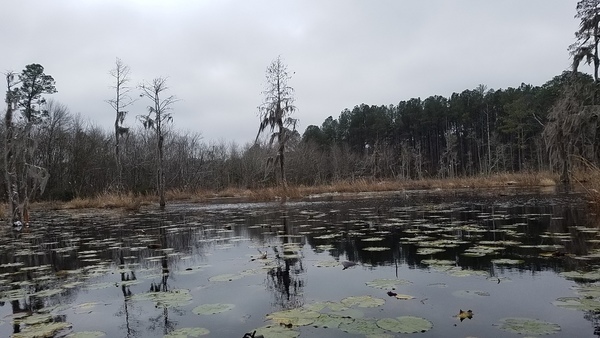 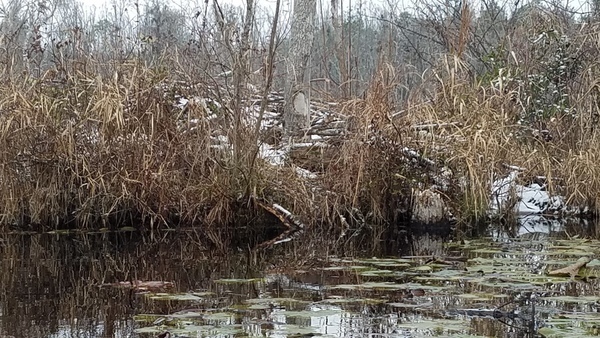 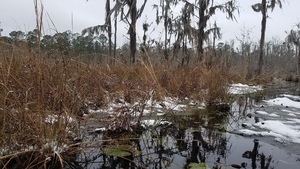 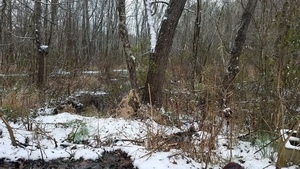 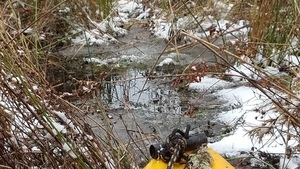 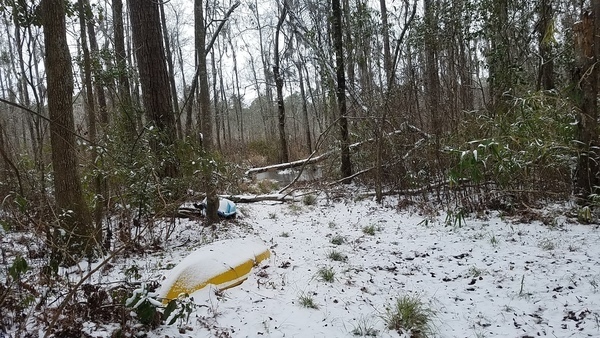 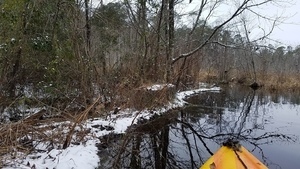 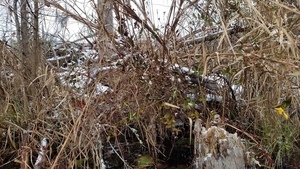 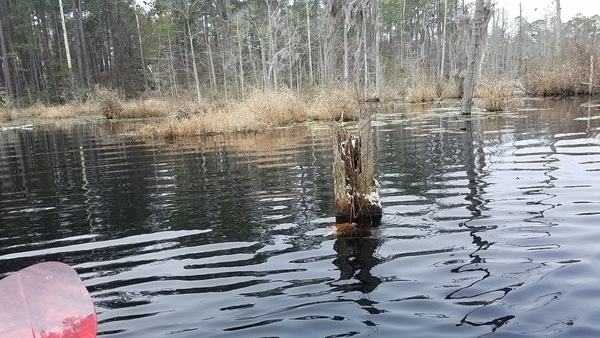 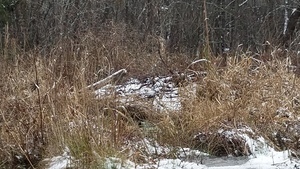 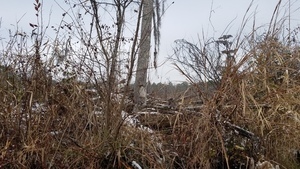 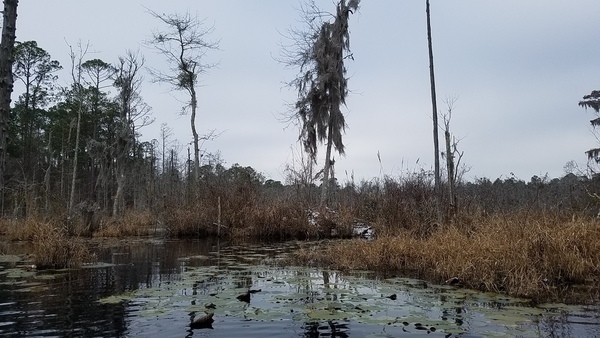 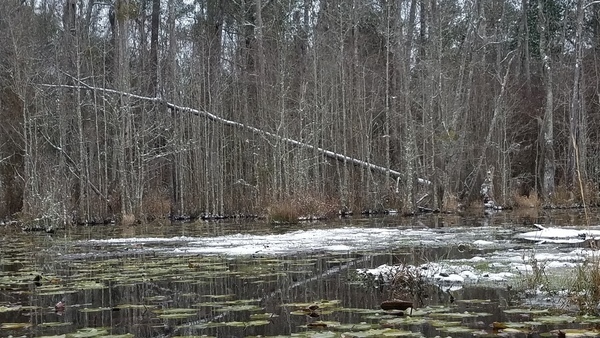 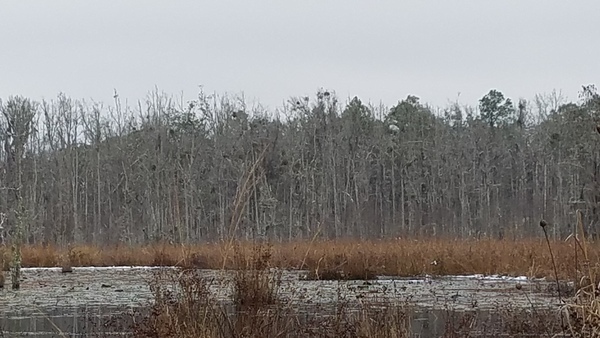 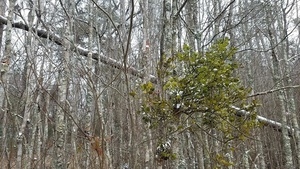 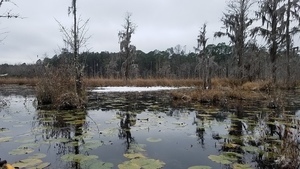 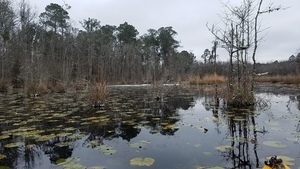 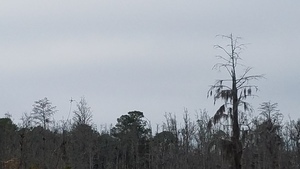 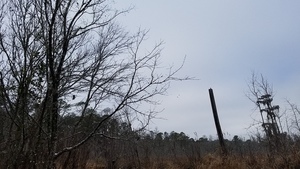 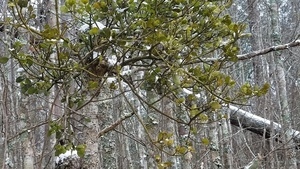 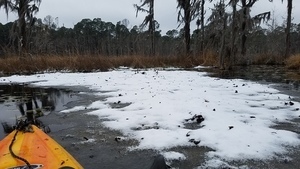 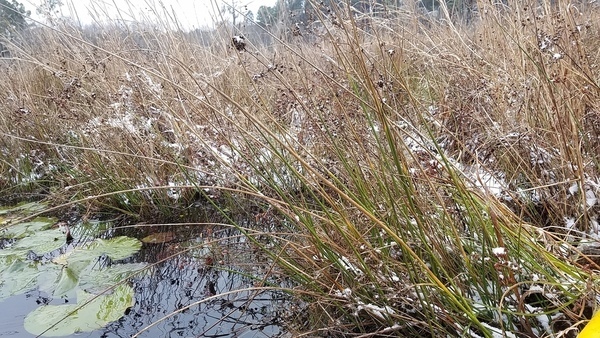 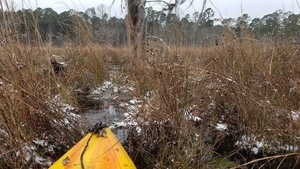 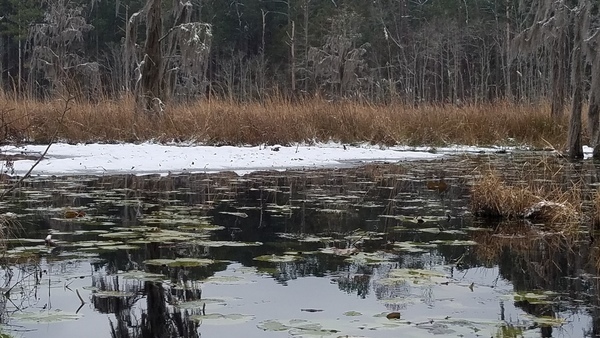 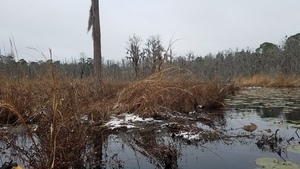 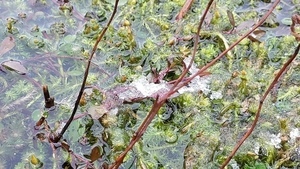 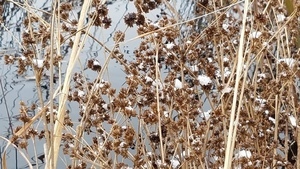 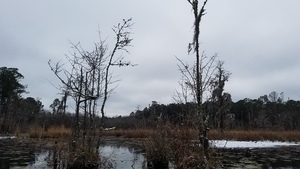 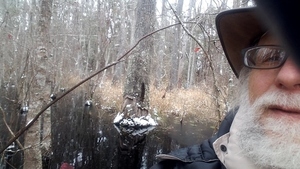 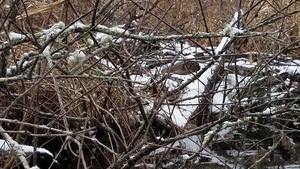 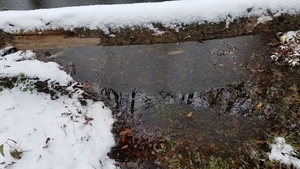 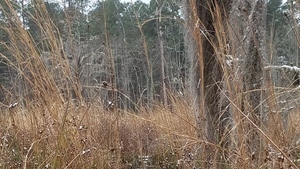 This entry was posted in Okra Paradise Farms, Pond, weather and tagged Brown Dog, Georgia, Gretchen Quarterman, ice, John S. Quarterman, Lowndes County, Okra Paradise Farms, pond, snow, Snowmageddon, Yellow Dog on January 5, 2018 by John S. Quarterman. 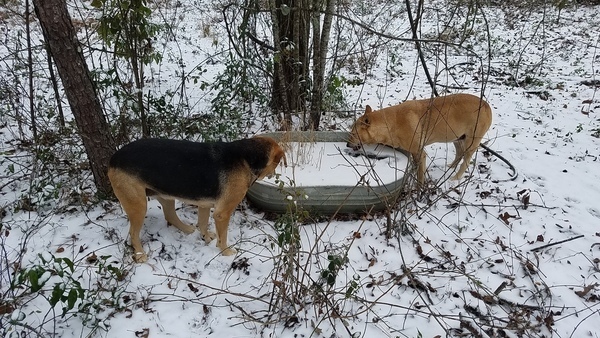 I did eventually break the ice for the dogs, but then they said the water was too cold. 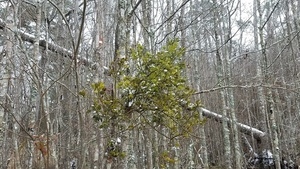 Lots of odd stuff during Snowmageddon. 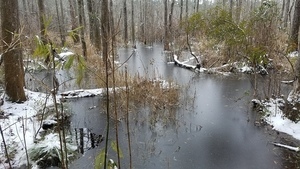 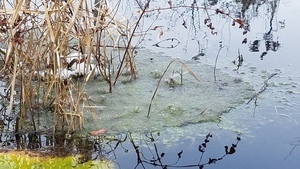 This entry was posted in Okra Paradise Farms, Pond, weather and tagged Brown Dog, Georgia, Gretchen Quarterman, ice, John S. Quarterman, Lowndes County, Okra Paradise Farms, pond, snow, weather, Yellow Dog on January 3, 2018 by John S. Quarterman. 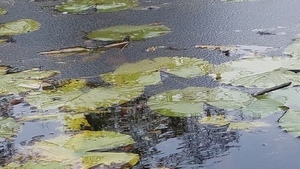 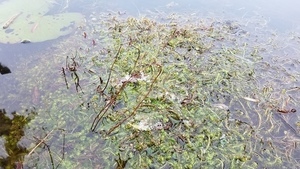 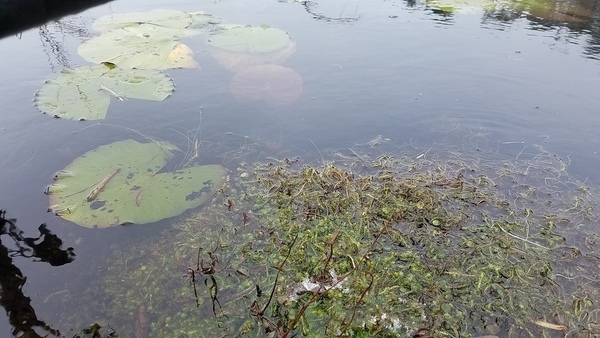 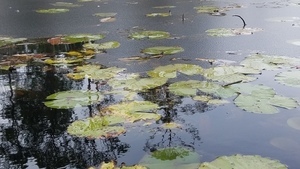 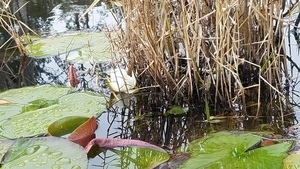 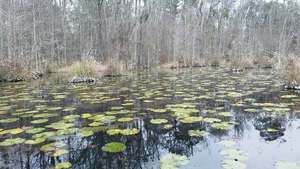 This entry was posted in Dogs, Okra Paradise Farms, Plants, Pond and tagged bog garden, Brown Dog, Dogs, Floating bottom, Georgia, Gretchen Quarterman, John S. Quarterman, Lowndes County, Okra Paradise Farms, Plants, pond, pot, shelf, Yellow Dog on September 4, 2017 by John S. Quarterman. 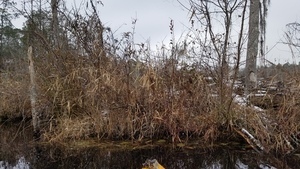 At the far side of the pond, Yellow Dog spotted a moccasin before anybody else. 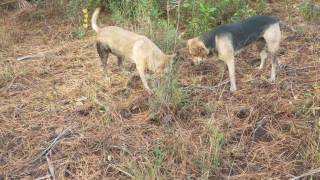 The small but deadly Agkistrodon piscivorus didn’t stand a chance against the pair of experienced snake wranglers, Yellow Dog and Brown Dog. 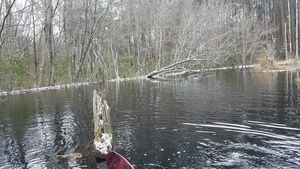 This entry was posted in Beaver, Cottonmouth, Dogs, Okra Paradise Farms, Pond and tagged Agkistrodon piscivorus, Beaver, Brown Dog, cottonmouth, Dogs, Georgia, Gretchen Quarterman, John S. Quarterman, Lowndes County, moccassin, Okra Paradise Farms, pond, reptile, snake, Yellow Dog on November 30, 2016 by John S. Quarterman. 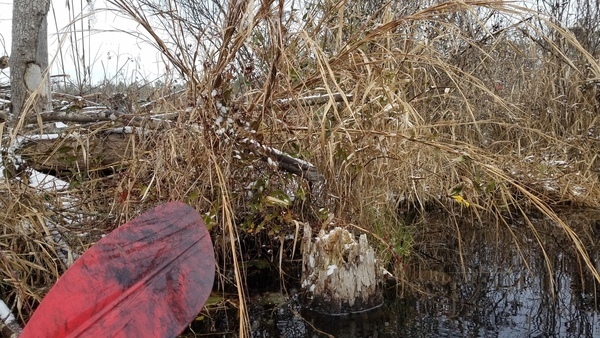 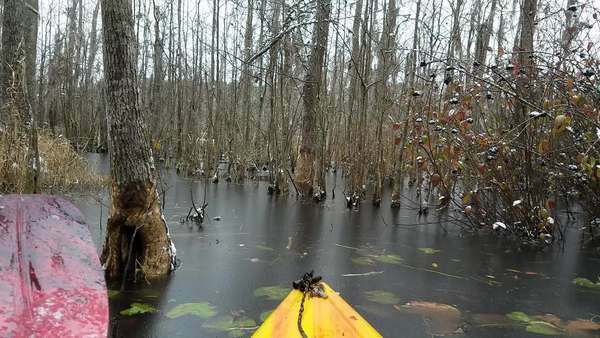 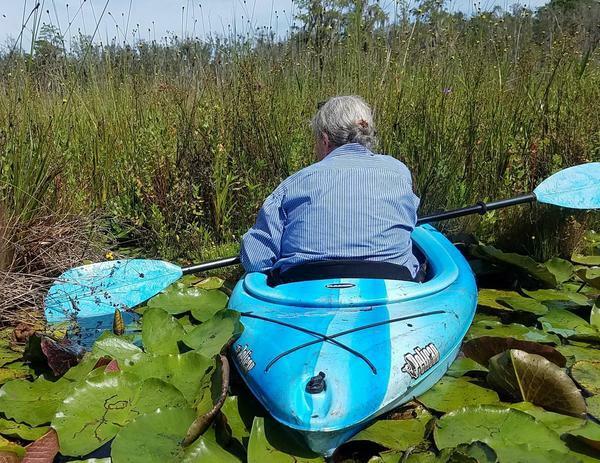 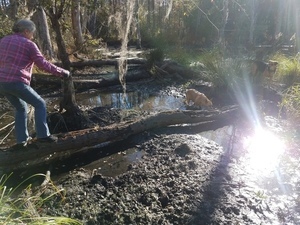 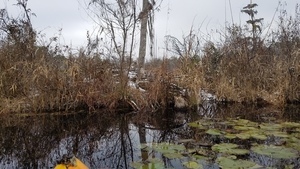 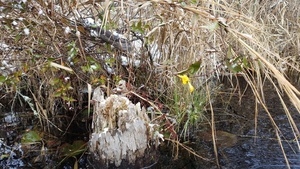 Yellow Dog and Brown Dog convinced Gretchen Quarterman to walk a log across a beaver pond. 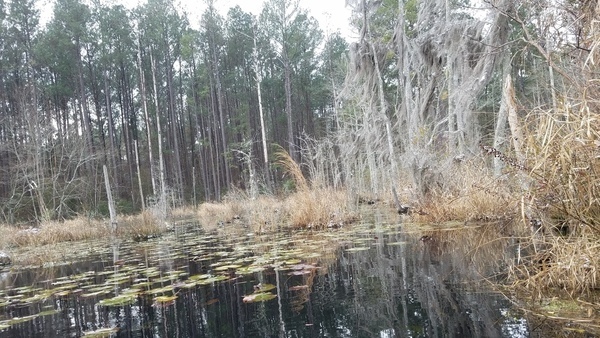 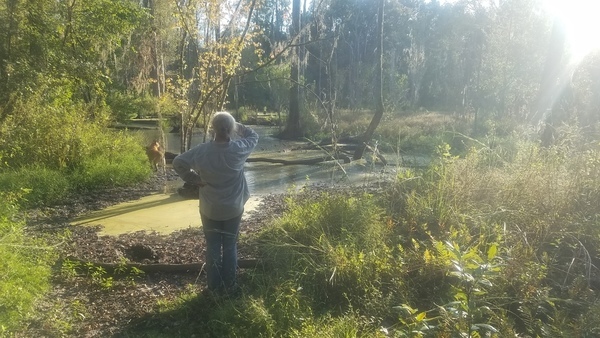 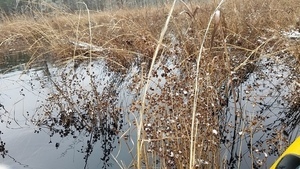 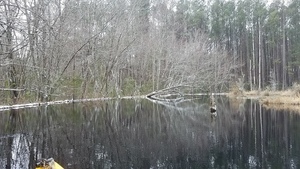 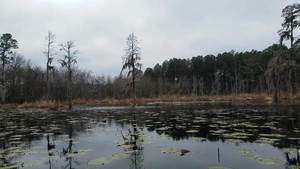 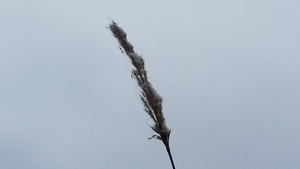 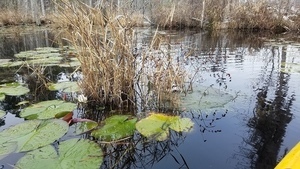 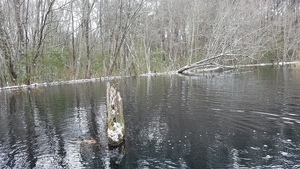 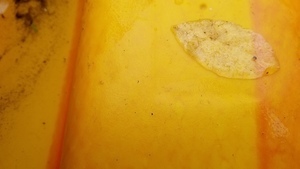 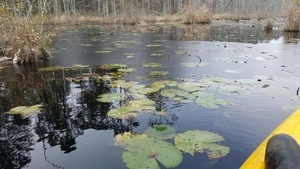 This entry was posted in Beaver, Dogs, Okra Paradise Farms, Pond and tagged Beaver, Brown Dog, creek, dam, Dogs, Georgia, Gretchen Quarterman, John S. Quarterman, Lowndes County, Okra Paradise Farms, pond, Redeye Creek, Yellow Dog on November 7, 2016 by John S. Quarterman. 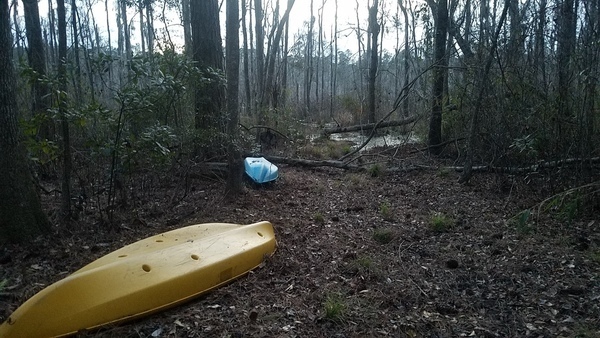 There’s a dog in that boat. 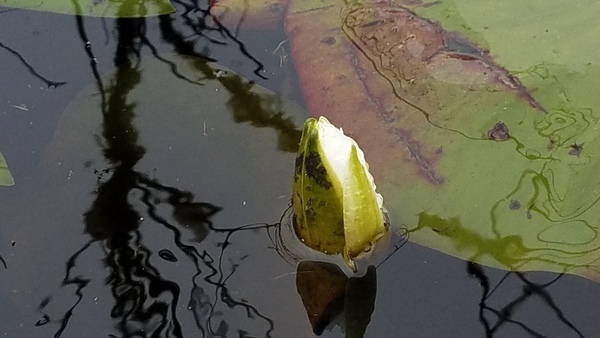 This entry was posted in Dogs, Pond on May 28, 2016 by John S. Quarterman. 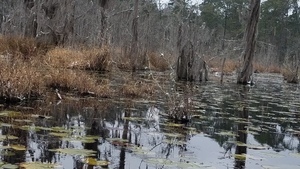 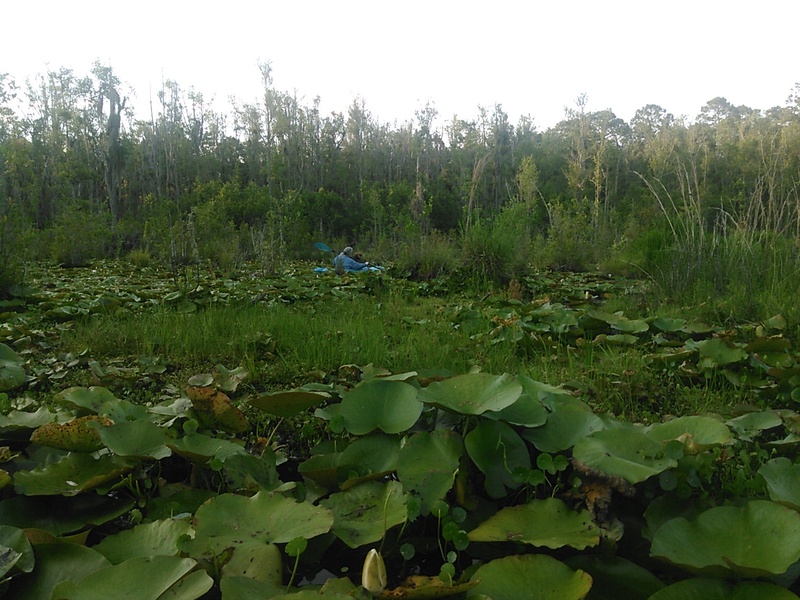 This entry was posted in Dogs, Pond and tagged Yellow Dog on May 28, 2016 by John S. Quarterman.